LeRoy Walton, 51, passed away peacefully and unexpectedly on March 8, 2018 in Prineville, Ore. Funeral services will be held at Wauds Funeral Home on April 7, 2018 at 11:00 A.M. in Tillamook, Ore.
LeRoy was born on August 3, 1966, in Portland, Ore. to Harold and Nellie Walton. He graduated from Canby High School. LeRoy was a professional rodeo competitor from 1989 to 1996. He then went to Alaska with his brothers Randy Walton, Doug Walton, and twin brother Les Walton and became a commercial fisherman from 1988 to 1996. LeRoy started his own business as a pole barn contractor in 1996 to present. LeRoy loved to Archery and Rifle hunt for deer and elk. 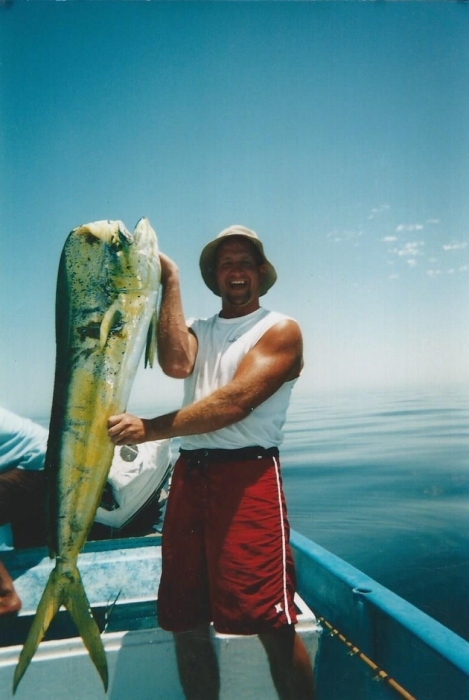 He was an avid fisherman who loved spending time outdoors with his friends and family. He will truly be missed by all who knew and loved him. LeRoy is survived by his mother Nellie Walton, three brothers Randy Walton, Doug Walton, and twin brother Les Walton. Three sisters Cathy Dimbat, Vickie Jacoby, and Teresa Standly. His two dogs Remi and Goose. LeRoy is preceded in death by his father Harold Walton. Arrangements are being held by Juniper Ridge Funeral Home.